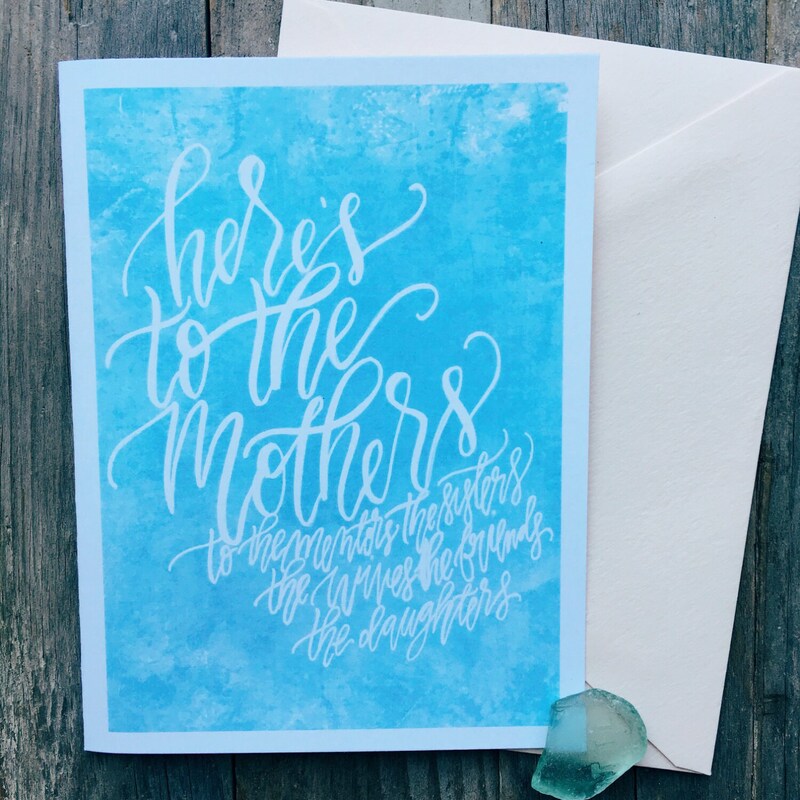 This lovely blue marble watercolor card is part of our 'Sea Glass' Mother's day collection! 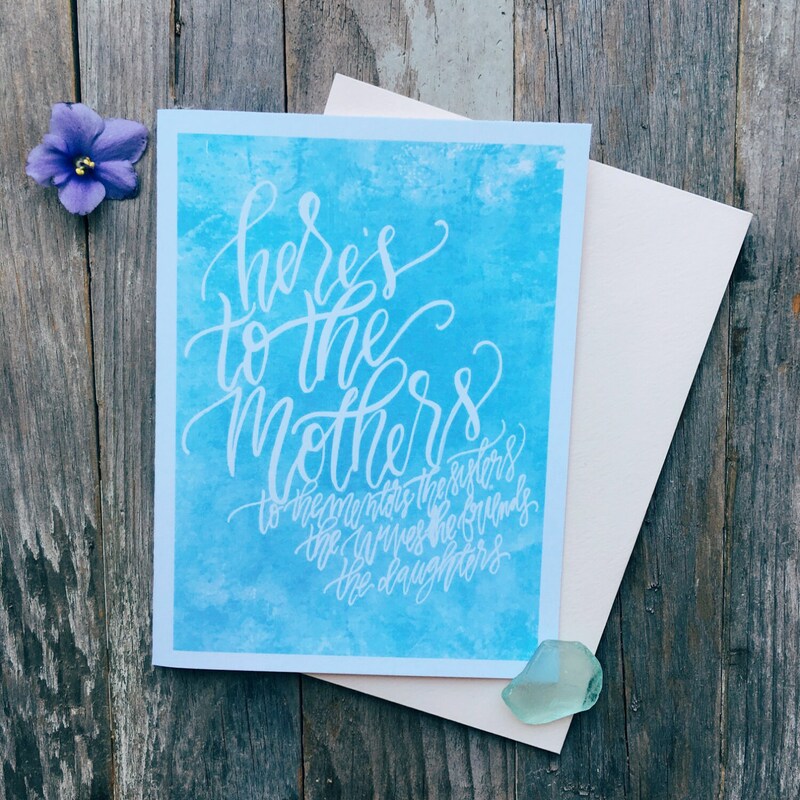 It is a tribute to all the mothers in our lives, whether they raised us, raised our children along side us as our wives, mentored us as stepmothers, watched us grow as teachers, or helped us with our own children as nana's and grandmothers. Professionally printed on heavy weight card stock at my local print shop. Includes blush french point envelope and free scripture card. A6 sized.